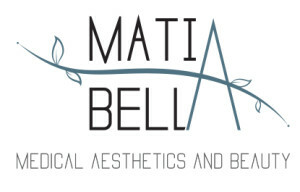 My Appointment | Matia Bella | Book appointments online hassle free. A Medical Aesthetics Skincare Clinic specializing in Skincare and Beauty Treatments. We offer basic and advanced facials, chemical peels, derma pen, laser, botox and fillers, permanent make-up and microblading, nails, massages, waxing and tinting. The name Matia Bella is infused with both Greek and Italian heritage, a tribute to the owners’ united cultures. The word ‘Matia’ is a combination of the names ‘Mariella’ and ‘Katia’ but, coincidentally, also refers to the talismans (‘Mati’) created to protect against the evil eye, a Mediterranean curse believed to cause misfortune or injury. The ‘Mati’ charms are also believed to bring good luck and success. ‘Bella’ simply means ‘beautiful’ in Italian, encompassing the Beauty Element of the business. Mariella and Katia share a friendship that stems from a combined ambition for success and a true passion for their craft. In early 2016, they channelled these aspirations into a business with the potential to be an empire. Now, as business partners working side by side, they are rapidly bringing that vision to life.